FOR FEAR AND GLORY ~ The North Fork of the Payette. 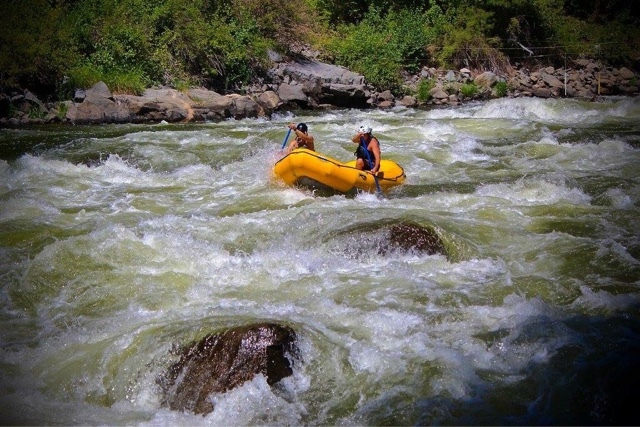 by Jesse Delamotte | DBP MAGAZINE ONLINE The World's Best Free Whitewater Publication. The North Fork of the Payette. That is about all that needs to be said to start this story. A river long feared by many and rafted by few. This fear is rightfully so. 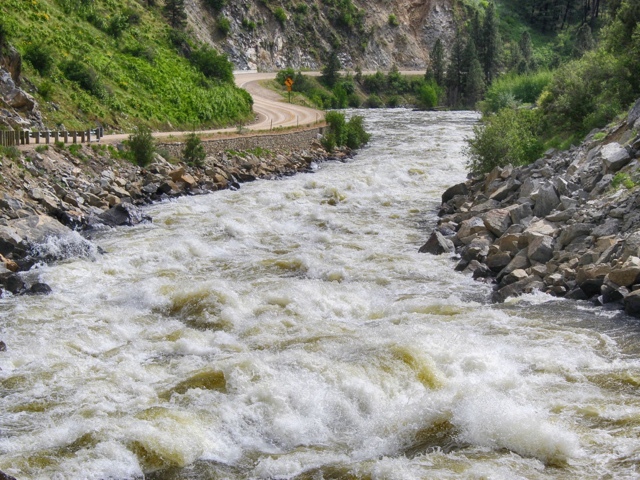 A river so mean and powerful that few take the chance to raft it. My move to Idaho a year ago is highlighted by the NF. Upon arrival, and on our way into the mountains, the NF is in plain sight for over 17 miles. 17 miles of stomach churning whitewater. My first thoughts after seeing this stretch: ” No way in hell…Ever.” For about a year that thought never left my head. What began as “Sunday Funday” for us morphed into something much more… serious. Many boats had been lent to us, for we couldn’t yet afford our own. Countless trips in friends’ boats. Sunday’s spent on the Cabarton quickly turned into weekends spent on the South Fork. Summer turned to fall, fall to winter, winter to spring and back to the beginning. My skills continued to improve as well as my confidence on the water. 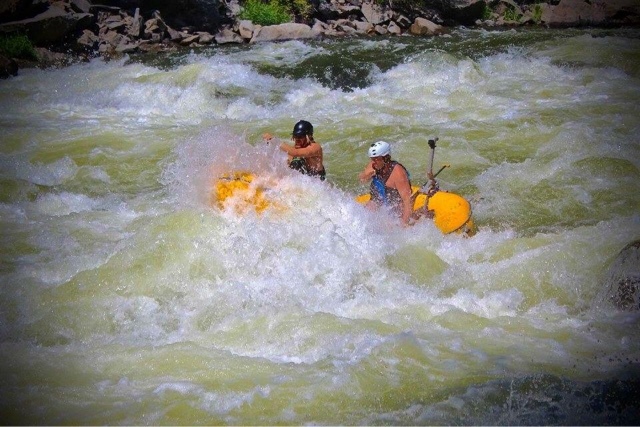 My brother Dylan and I pushed through as much whitewater as we could. Every weekend, every off day, every opportunity that presented itself. We made whitewater ours lives. Always in the pursuit of more. We met some badass paddlers from Washington that were traveling to the NF every weekend and completing full descents if not two in one day. The skill the duo showed was unbelievable and inspired us to pursue more challenging water. We decided after many sleepless nights and countless debates to give the NF a go. We started on the lower 5 and this is how it went..
2100 on the gauge and sunshine for days. We couldn’t have asked for a better day to be on the water. With Dan McCain and Jeff Compton leading the way, we began our first attempt of the North Fork Payette Lower 5. The warmup (IV) went well. The holes were exceptionally big and a step up from our experience on the SF Payette. We got to Otter Slide (V) and decided to run it. Our line was clean and excitingly fun but we had never been in such burley water. The power of the water in Otter Slide was amazing. I could feel the vibrations of the rapid in my chest. 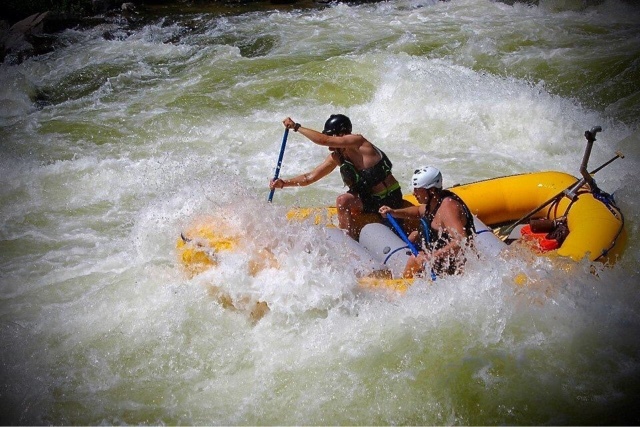 My ears were ringing with adrenaline, and the overwhelming sound of whitewater. Juicer was up next. The butterflies really began to flutter..
I’m swimming and I can’t get up. Panic has set in. Fresh air for a split second then a wave crashes over my head. I hear Dory, “just keep swimming, just keep swimming”. I’ve exhausted almost all of my energy. This is it. Wave after wave is stopping me from breathing. I’m drowning and there is nothing I can do. I’m being sucked into a hole. A hole I don’t want to be in. What am I doing on this river? I slam into a rock. What was I thinking? I’m sucked under the boat. Why am I here? A complex series of thoughts and panic are your body’s natural response to danger. My body was experiencing it all. The thought that really got me was why am I here. A thought so powerful it could make me rethink it all. Breaking it down in simpler terms, I came up with a response to my own question. In a perfect world, one would not experience the feelings and fear that I ran into that day on the North Fork, but what kind of world would that be. I am here for the thrill and adventure. I am here to push myself to the limits. For the stomach turning feeling of not knowing exactly what is next. Teamwork. Adrenaline. For fear and glory. The glory that is stays deep in my soul. The Glory that brings out the smile that I sometimes forget I have. The internal feeling of pure joy and accomplishment. 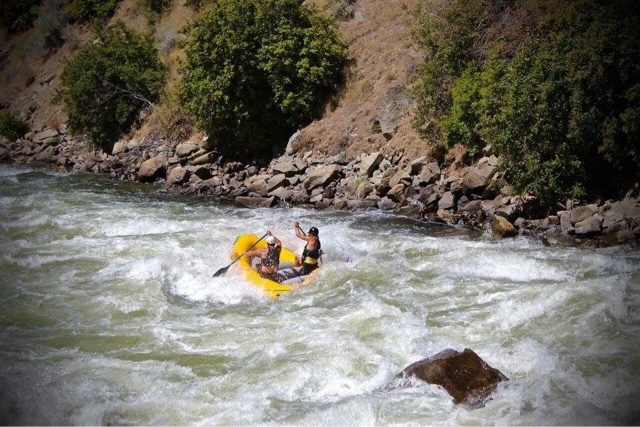 EDITOR’S NOTE: Jesse and brother Dylan represent Dirt Bag Paddlers with pride and posts as Admins from Idaho. 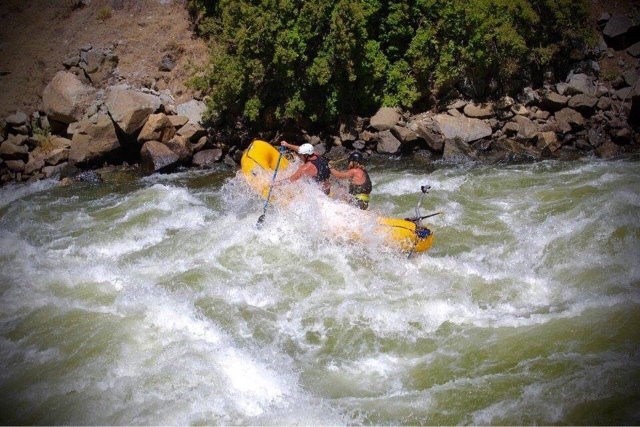 This love letter from the NF Payette, one of the biggest whitewater gems in the North American crown, continues our month long 3rd Birthday celebration in this “Our Rivers, Our World” issue. Go check out their blog next for more great adventures! Photos (except header photo) are from a recent NF lap by Jesse and fellow DBP Admin Alec Reeves, shot by Kaylie Hoffman. Welcome to Eddie Fence Productions. Eddie Fence is the brainchild of a group of Dirtbag rafters, snowboarders, skiers, and all around adventurers from the great state of Idaho. No you won’t like Idaho…It’s a terrible place. Don’t bother making a visit..
Our goal is simple. Enjoy the life we live while recording the epicness for all to see and share. Everyone has to start somewhere and seeing one of our videos could be what gets you OUTSIDE. Today’s media is a powerful tool, and we plan to fill it with adventure, excitement, camaraderie, peace, love, and whitewater. And in super HIGH WATER!!! Sounds rough! How far did you swim, and how did you get out?